The kit covers 2 tone pot (Pots not included), and includes an easy to follow diagram. Provides improved harmonic overtone clarity over stock caps. 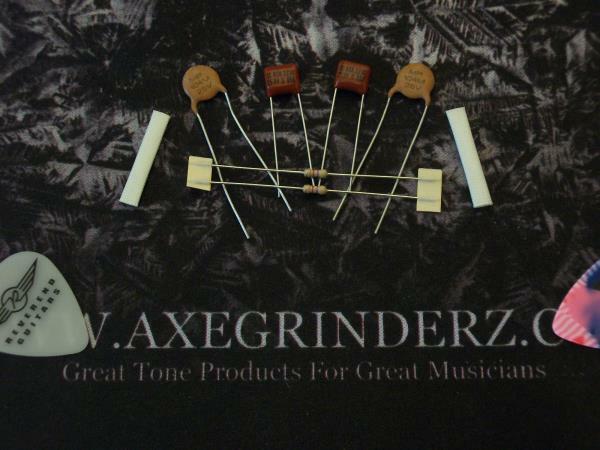 Optimized for 250k Audio Taper Pots, but will work on your 500k guitars as well. Enough for 1 Strat or 2 Teles / P BassesThe ultimate in tone. Super Quality.